By hungry runner on March 17th, 2012 . Filed under: Blogs, Cupcake Ideas, Holidays, Recipes . Happy St. Patrick’s Day! Remember those breakfast cupcake posts? 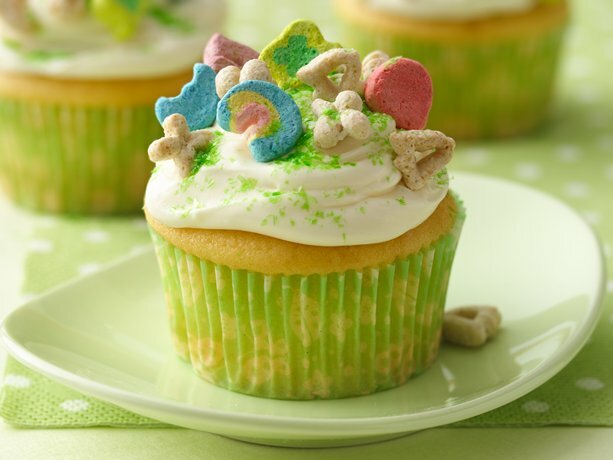 Similar to the cinnamon toast crunch and Cap’n crunch cookie cupcakes, today’s St. Patrick’s Day cupcake idea is inspired by breakfast cereal. 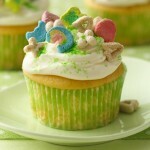 Lucky Charm Cupcakes! As a kid I loved Lucky Charms, well I think I really liked the marshmallows, and now I can’t help but wonder if cupcakes that include the cereal are as magically delicious! I found several recipes for Lucky Charm cupcakes, two, shown above, called for vanilla cupcakes topped with frosting and then the cereal. These recipes included one from AMK Designs and Delights, the recipe calls for homemade vanilla cupcakes and a sprinkle of lucky charms. For those pressed for time, Betty Crocker’s recipe calls for yellow cake mix, lucky charms, and edible glitter. 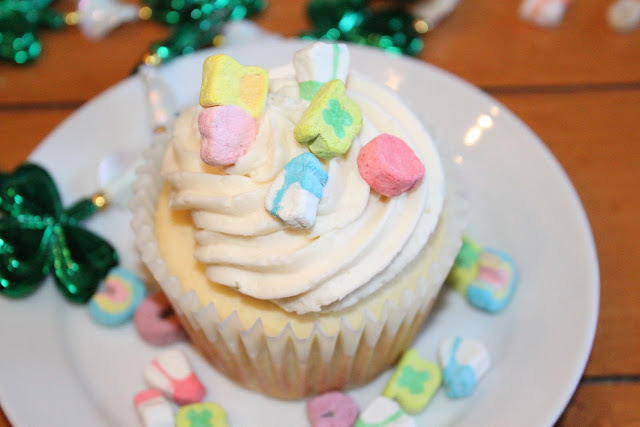 For the bakers that take time to bake from scratch, Cupcake Project has a recipe for Lucky Charm Cupcakes using homemade lucky charms that are in the crust, the batter, and on top of the frosting! 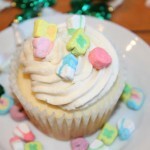 This, shown to the left, cupcake sounds more time consuming but also sounds like the true Lucky Charm cupcake!